This solid wood Roll Top desk will add elegant appeal and versatile function to any office. Our Amish Roll Top Desks are 100% solid wood and handcrafted by the Amish using Old World techniques! Amish Rolltop desks are a great way to hide away your office clutter. 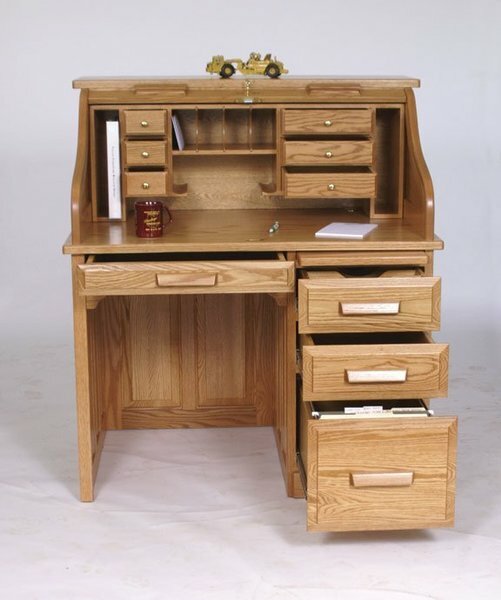 This Amish rolltop desk is available in a variety of wood types and stain choices. The standard roll top desk comes with raised paneled sides and dovetail drawers with full extension slides.